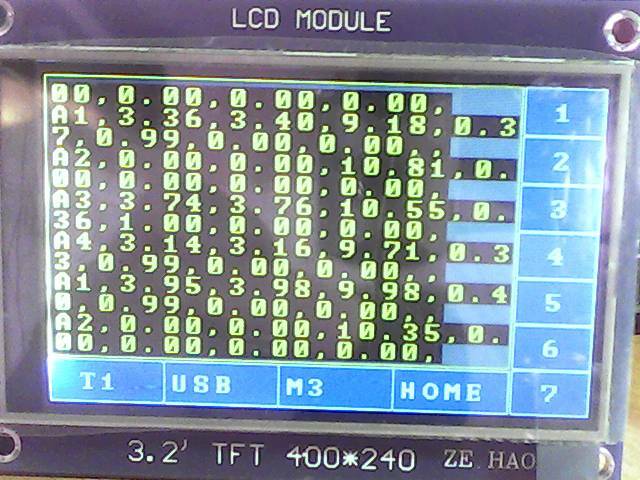 and a 3.2" TFT LCD screen from ThaiDuino,all for 1923THB / 48EURO. ITDB02-3.2WD module is 3.2" TFT LCD with 65K color 400 x 240 resolutions (16:9 widescreen). 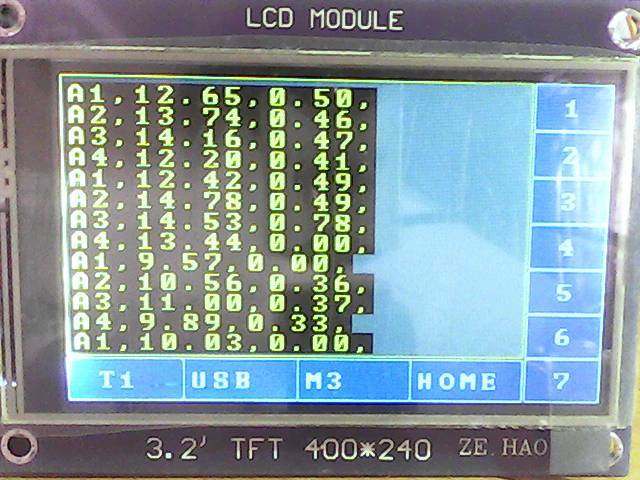 The controller of this LCD module is HX8352-A, it supports 16bit data interface with 4 wires control interface. 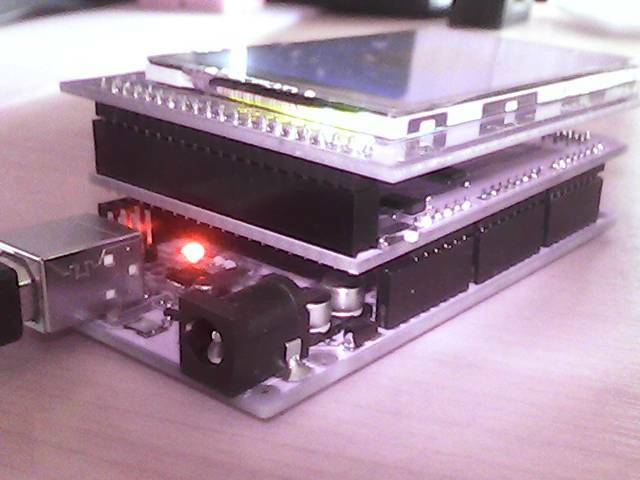 Moreover, this module includes the touch screen and SD card socket. 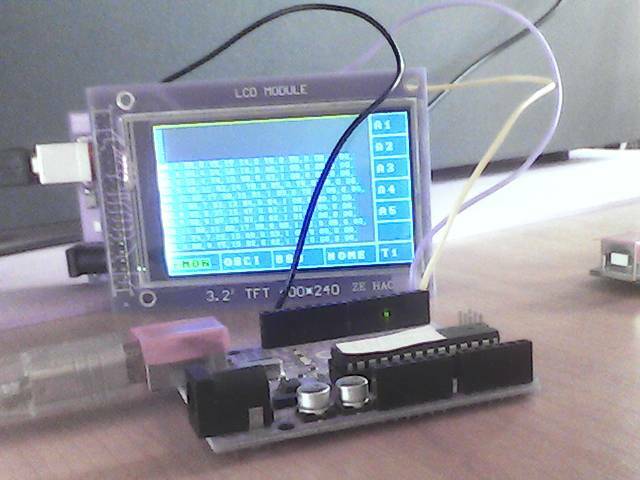 ITDB02-3.2WD is supported by UTFT Library. 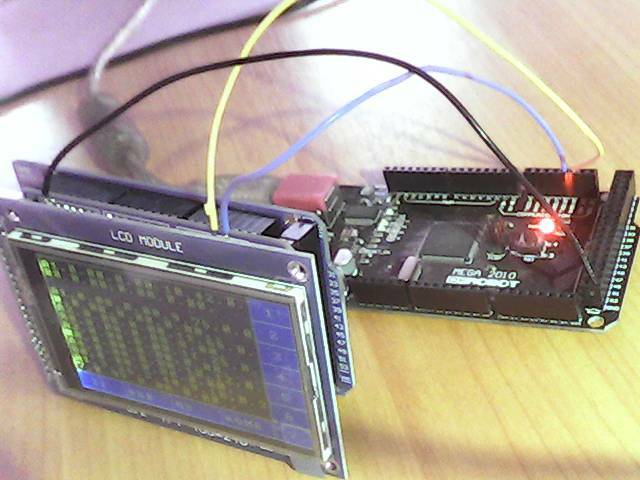 and i plan only to use a ( hardware ) serial link to create a serial touch-graphic terminal. and right and left seems switched. as you see in above picture, there still is on the left side a about 7mm inactive area. thanks to Henning Karlsen for help me out here, now i can start to work. - - and a text / back ground color problem. suddenly the text background is black. solverd: forget the ! setBackColor ! and also not more buffer / history programmed. if longer, the rest is lost. line scroll and wrap logic is tricky. and the code is more easy to be loaded into UNO. ( about 10kB less ). but i think that is unavoidable? there is not much space left for a user code. 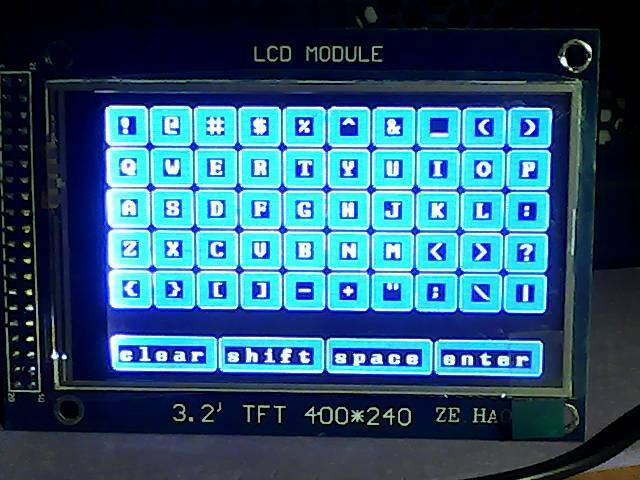 its a pity that ( that ) TFT not have internal fonts like a LCD. to fly the space shuttle. my most bad example of using compiler switches. and show all values ( 2 lines ) is unreadable. 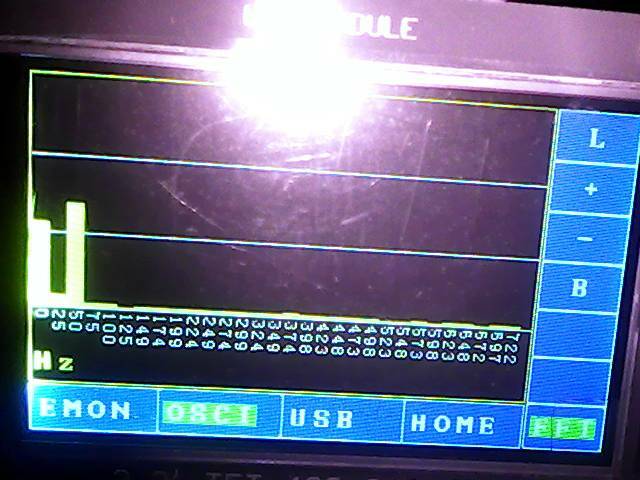 That version ( T1 / USB / HOME ) terminal function only, pls find in download area. so, after the terminal function works its time to think about a more nice way to show the EMON values, here we will use the R1 .. R7 menu. 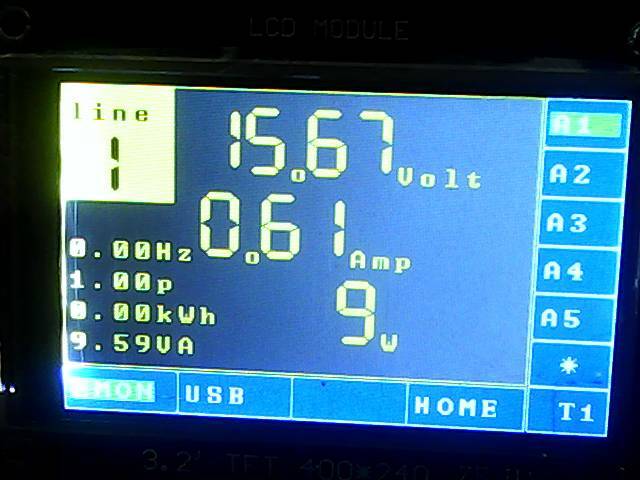 ( 5 separate (one phase ) AC measurements ( with a common Volt signal ). with selection [A1] ... [A5] show one line values only. 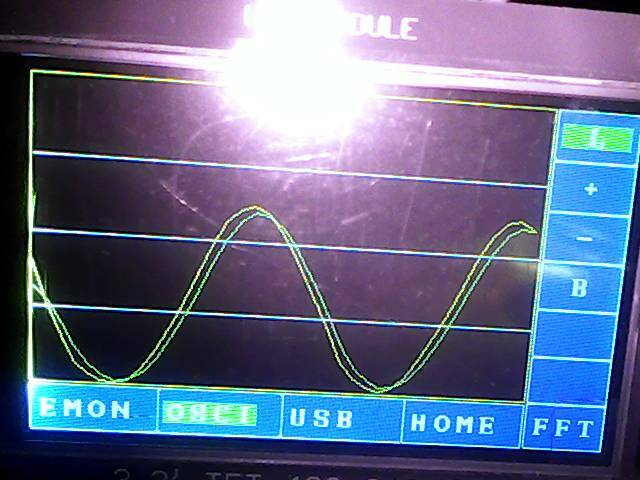 For this first i need to use that stream ( series of strings ) and put it to a array of floats . what makes it tricky, because the 7 segment Font can not make a dot for the numF floating point print function, now use num I, a small o instead and an other numI. until now was easy because it was just some different ways to show the default data stream from EMON. 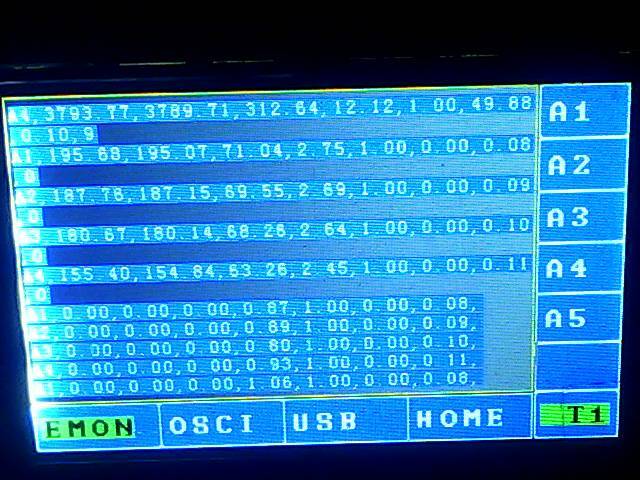 For the next MENU it is required to operate the EMON device by sending characters via the T1 line, to make EMON send different kind of data like FFT or CHART. 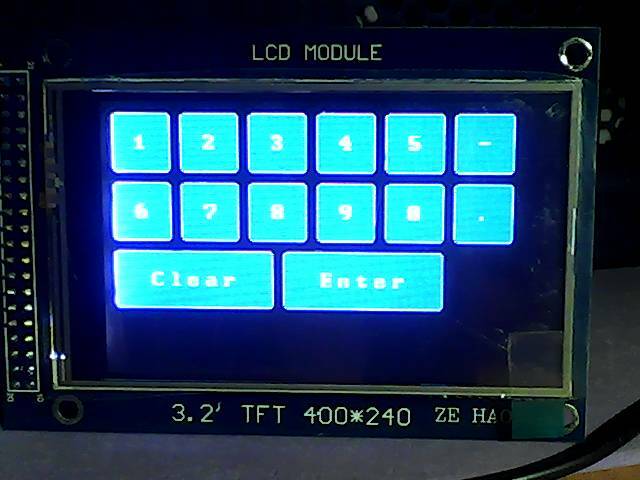 The new M2 OSCI menu button first gives you that new right menu buttons. L for start/stop line chart. with terminal now in small font and menu select colors changed. add. i build in a menu [HOME][RST] software reset of BOTH boards. in a UNO and connect the LCD MEGA by UNO's D0,D1, GND only. 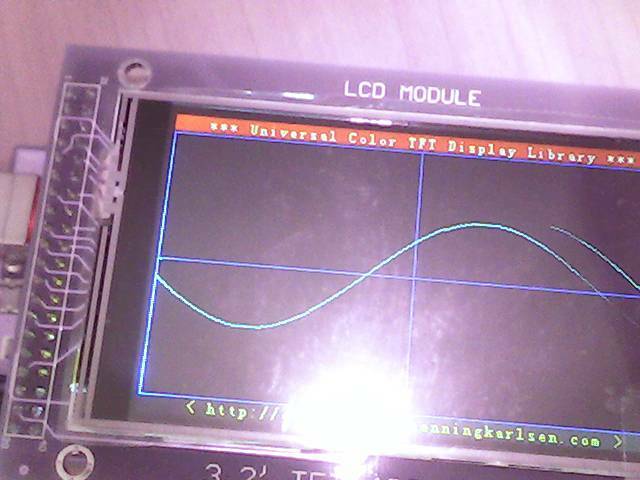 As the LCD shield has a SD card slot i would like to test it too. 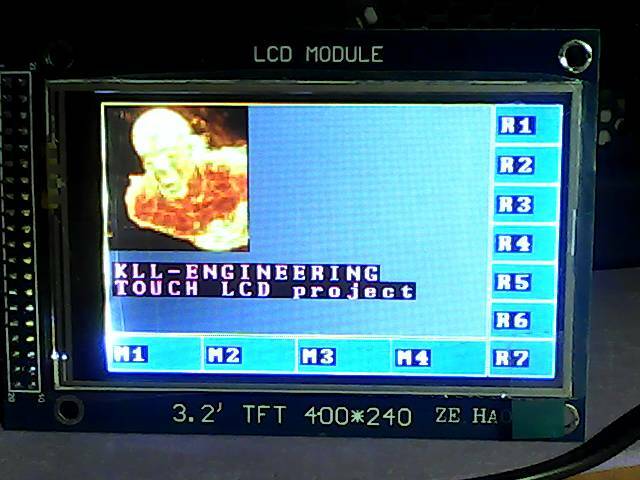 But the SD code is in the EMON PMT and need to be transferred to the LCD project.